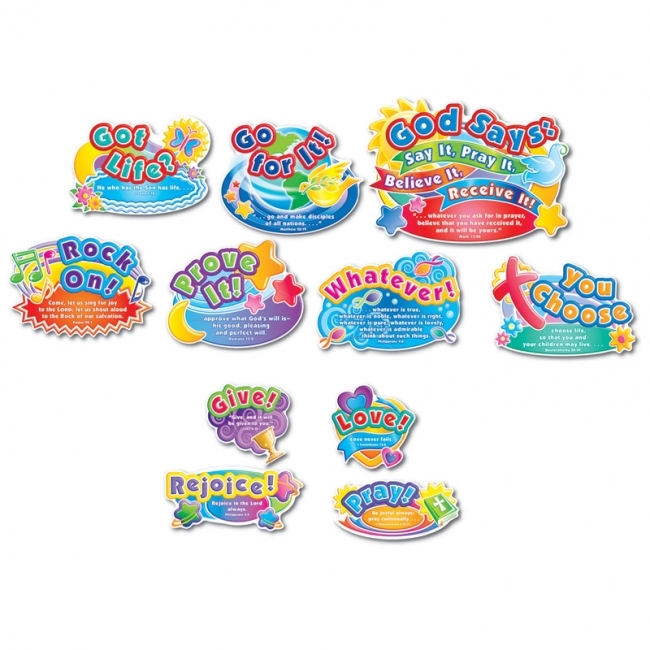 Included are a large 22.5" x 16" sign, 10 catchy words or phrases with supporting Scripture, and an activity guide. This bulletin board set includes: an ark scene, assembled approx. 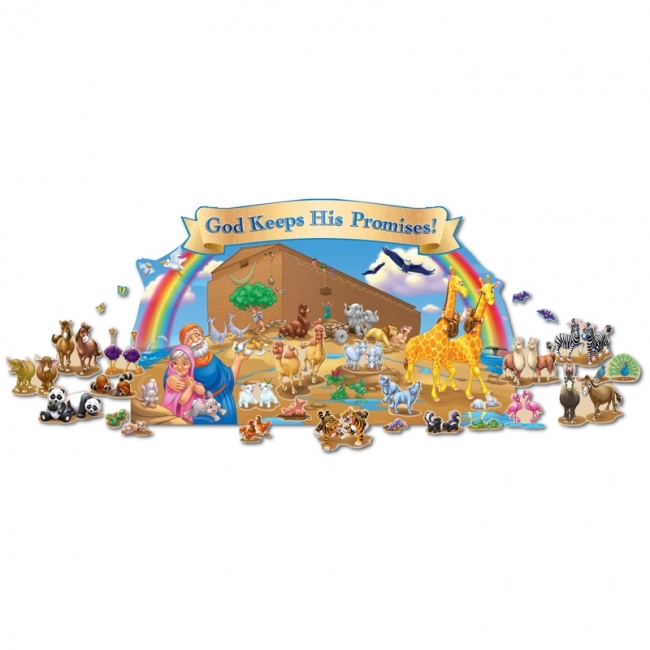 50 inches x 24 inches; 25 die-cut animals; a God Keeps His Promises! banner; and an activity guide. 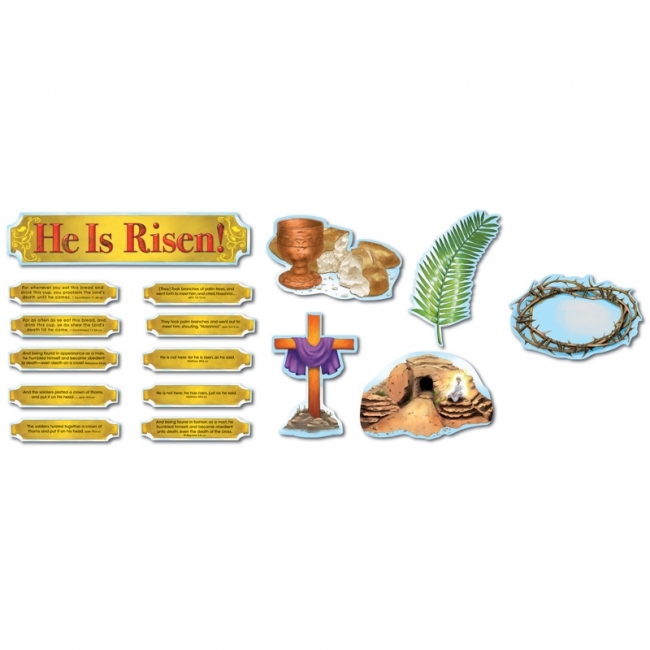 Explore nine ways to love one another plus related Scripture with this Christian bulletin board set. 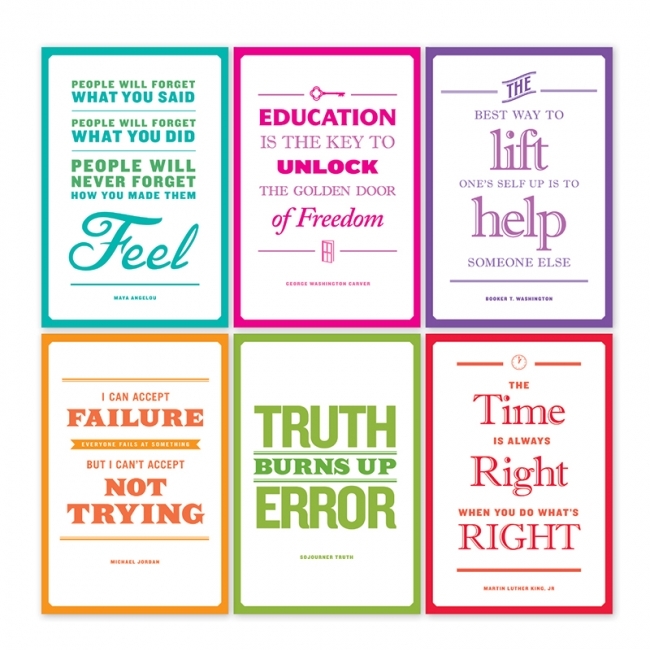 Use each poster to teach a lesson or display for discussion starters. This colorful bulletin board set includes: 10 photographic posters (12" x 17" each) including Love One Another, Encourage, Forgive, Accept, Pray, Serve, Be Hospitable, Be Kind, Share, and Teach, and an activity guide. 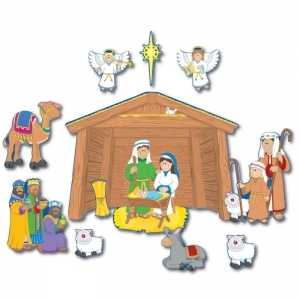 For PreK-Grade 3 / Ages 4-9. Stable dimensions are approx. 15.25" x 9.25" assembled. 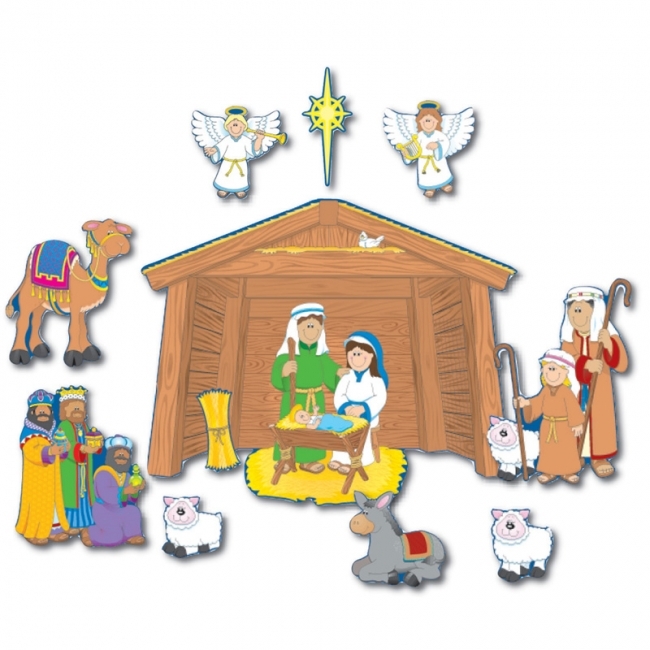 Set also contains 10 characters, 4 animals, a star, a Luke 2:11 header, and an activity guide. • 3 illustrated Bible verse accents: "God is love. ", "Love never fails. 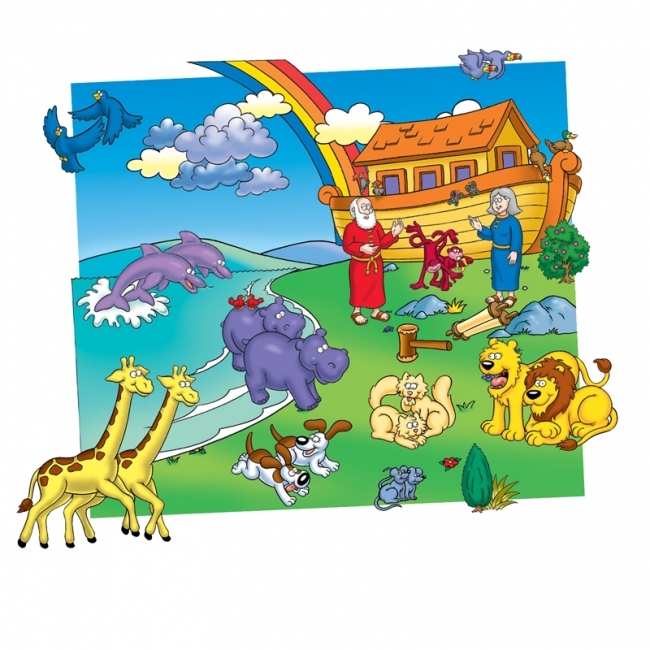 ", "...Since God so love us, we also ought to love one another"
Noah's Ark The Beginner's Bible is wonderfully and brilliantly colored and coordinates with The Beginners Bible. 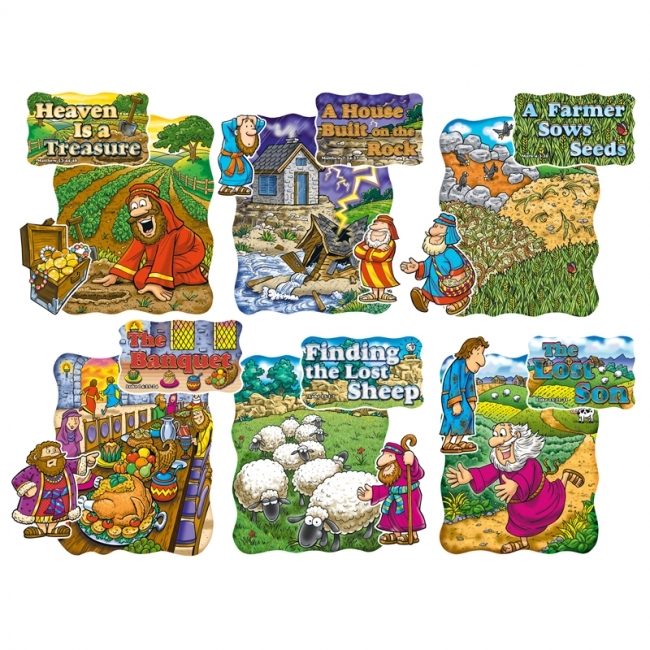 Providing hours of fun and learning, each set teaches multiple stories which make the Bible come alive for the very young ones! 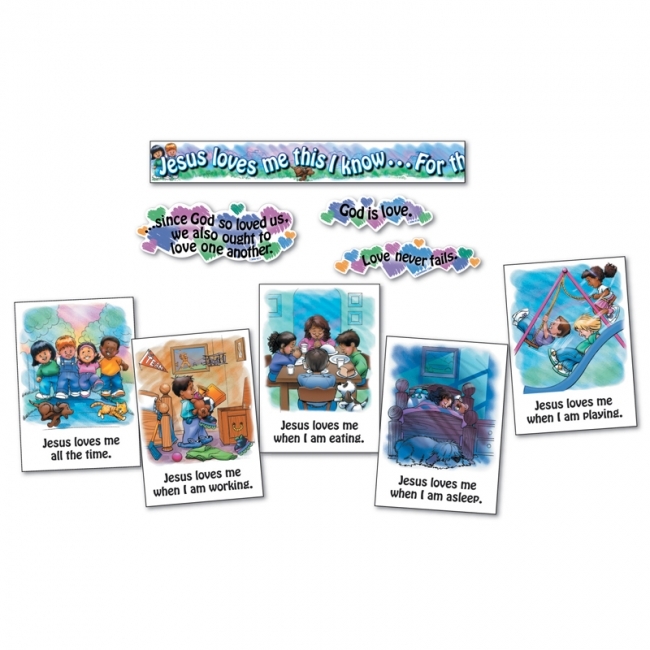 Includes story booklet and 20 pieces. Background sold separately. 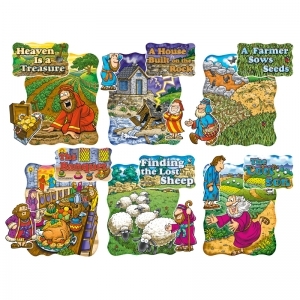 Features scenes, title cards with Bible references, and extra pieces for 8 parables: A House Built on the Rock, Heaven Is a Treasure, The Servants and the Talents, A Farmer Sows Seeds, The Banquet, Finding the Lost Sheep, The Lost Son, and Jesus Is the Vine. 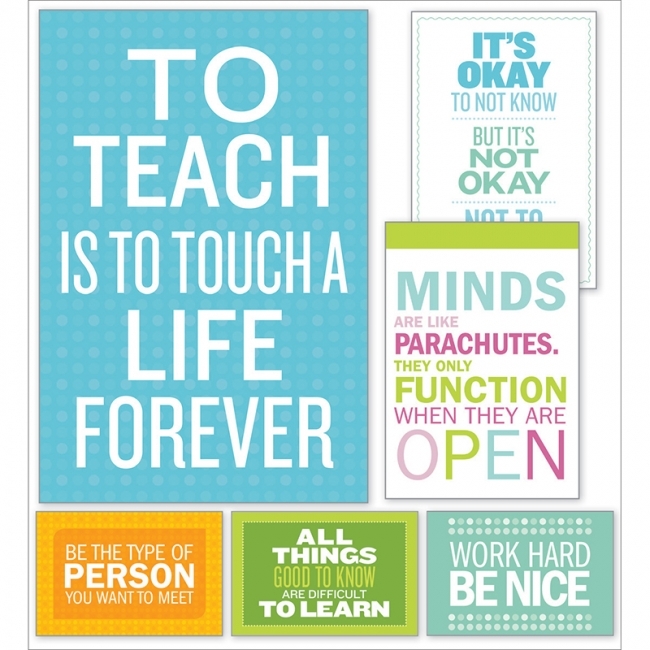 Includes a four-page teacher guide with reproducibles. Includes 29 pieces. North Star Teacher Resources® Bulletin board set with children's Bible songs theme features popular Sunday school songs and is ideal for toddler through grade 3. 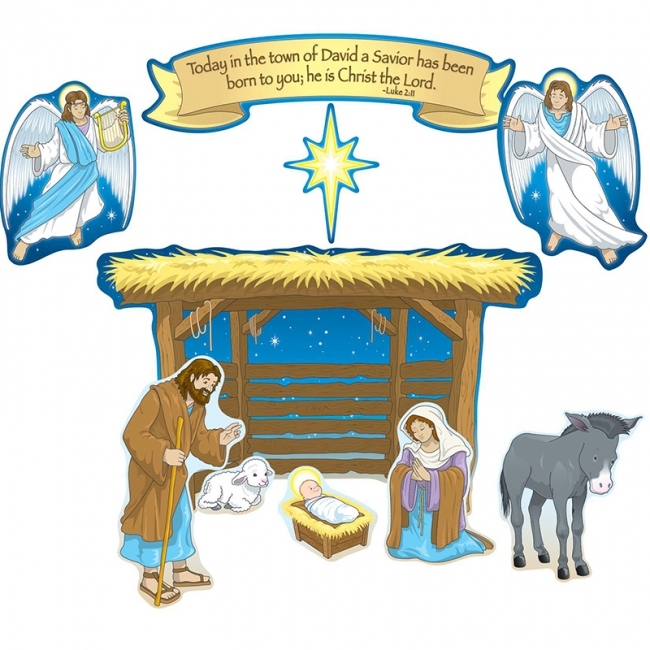 Each 11'' x 17'' (27.9 x 43.2 cm) poster features a popular Sunday school song: The B-I-B-L-E, Down in My Heart (Joy, Joy, Joy), He's Got the Whole World in His Hands, Jesus Loves Me, Jesus Loves the Little Children, My God Is So Great, This Little Light of Mine, and Zacchaeus Was a Wee Little Man. Includes a four-page teacher guide with reproducibles. Includes 8 pieces. Honor the Holy Spirit's work in our lives! 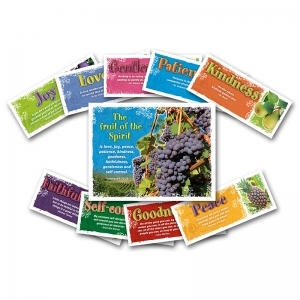 Vibrant colors and lush photographs illustrate the abundance of the Spirit's gifts. A 22" x 17" (55.9 x 43.2 cm) theme poster features the well-known verses in Galatians about the fruit of the Spirit, and nine 17" x 7 1/3" (43.2 x 18.6 cm) posters individually highlight each spiritual fruit, with an accompanying quotation. Includes a two-page teacher guide with activities and discussion-starters. 10 pieces. 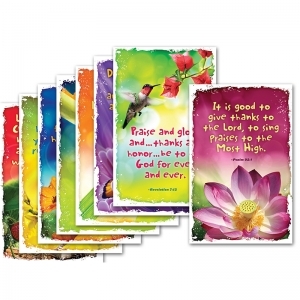 Celebrate God's goodness by expressing your gratitude in everyday life! Eight 11x17" posters feature the brilliant colors and intricate forms of nature, accompanied by corresponding Bilbe verses about thankfulness. 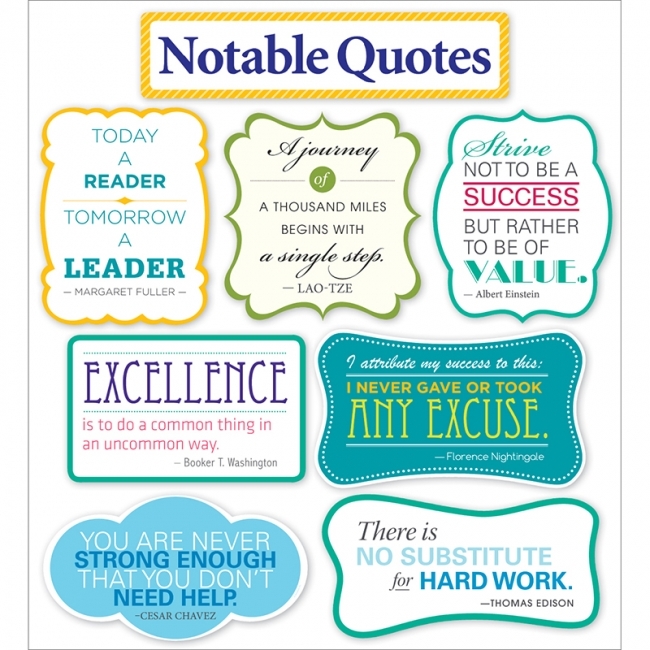 Motivate students with these 18 quote cards featuring inspiration from notable people such as Maya Angelou, Abraham Lincoln, Nelson Mandela, and Eleanor Roosevelt. Perfect as writing prompts or discussion starters. Includes 5 sheets and one 4-page activity guide. 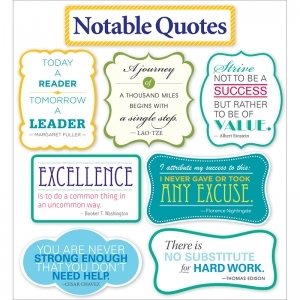 Inspire students with this 6-poster set featuring notable quotes from Maya Angelou, George Washington Carver, Michael Jordan, Martin Luther King, Jr., Sojourner Truth, and Booker T. Washington. Perfect for Black History Month (and all year round).